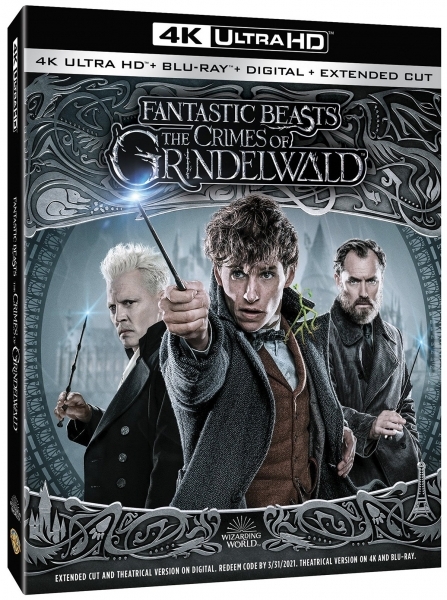 More details have been revealed by Warner Bros. for the Fantastic Beasts: The Crimes of Grindelwald digital release on February 15, 2019, and DVD, Blu-ray, and 4K UHD physical packages available on March 12. This includes the official cover art, and special features, deleted scenes, and new interviews. The extended cut of Fantastic Beasts: The Crimes of Grindelwald will included over seven minutes of deleted scenes from the theatrical cut (only available in 4K UHD Combo Pack and the Blu-ray Combo sets). No word yet on how many extra deleted scenes will be featured, and if those include scenes added to the extended edition of the movie. 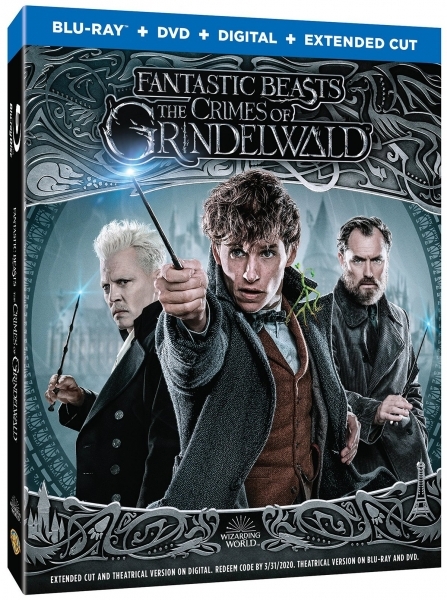 An audio introduction by director David Yates and over an hour of special features will also be available in the combo sets.